Whew, you survived Cloth Diaper 101 and you’re back for more! 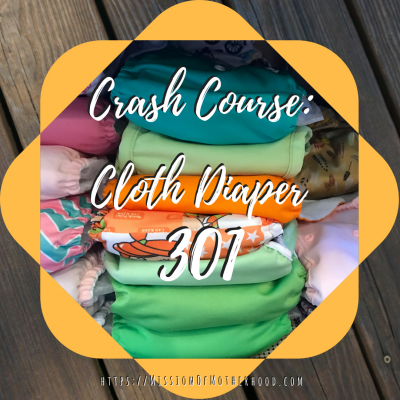 In this installment of my crash course on cloth diapering, I’m going to talk about absorbency for overnight cloth diapers. Let’s dive in! Along with the many types of things you can put into a baby’s mouth, there are a number of things to put on their bums and ways to catch what comes out the back end. As with all things parenting, you make the choice that’s right for you and your family! Cloth diapering is one of the choices we made, and after 3 1/2 years of wrapping my babies in cloth, I’m here to give you a crash course: Cloth Diaper 101. Here I’m going to discuss the basics about the diapers; you can find more on absorbency, overnight diapering, how to clean and launder diapers, troubleshooting, and repairs in the subsequent posts.